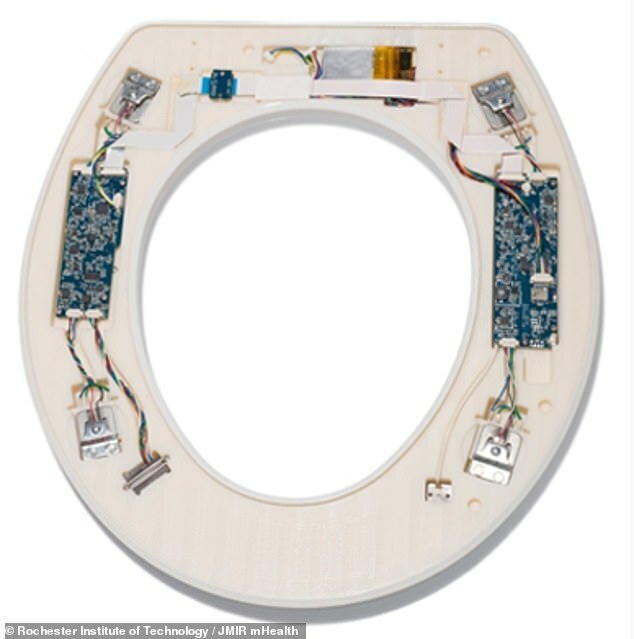 Scientists have invented a toilet seat which could detect signs of heart failure before symptoms appear. The gadget fits over the top of a normal seat and contains sensors which can measure the user’s heart rate, blood pressure and oxygen levels through their legs. Its inventors claim the product could save millions of lives and make it easier to monitor at-risk patients with accurate, real-time information. Currently costing £1,500 each, the toilet seats aren’t cheap but they could save hospitals money and improve people’s health, the researchers said. Inventors at the Rochester Institute of Technology in New York have designed and produced the seat, which they hope will cut hospital admission rates. Around a quarter of heart failure patients are readmitted to hospital within 30 days of discharge, the researchers said, while 45 per cent are taken back within six weeks. By monitoring the patients at home – and not requiring them to do anything other than what comes naturally – medics may be able to keep a closer eye on them. This also reduces the likelihood of mistakes which would otherwise happen if people were doing their own monitoring using other devices. And the data from the seat, which is WiFi enabled, can be transmitted automatically to doctors if necessary, so they can decide whether someone needs treatment. ‘This system has the potential to address many of the challenges with in-home monitoring,’ the inventors wrote in a report in the journal JMIR mHealth. They said the seat could overcome problems with convincing people to take reliable measurements themselves, because it would do it for them without any extra effort. The developers said the seat would make it easier to be proactive about monitoring patients’ care, by monitoring them before symptoms appear, instead of being reactive, and only being able to help when someone is already ill.
And the legs could be a good location for this monitoring to take place because the aorta – the body’s largest artery – runs into the thighs. Heart failure is a serious condition in which the heart cannot pump blood properly around the body, often because it is too weak or stiff. 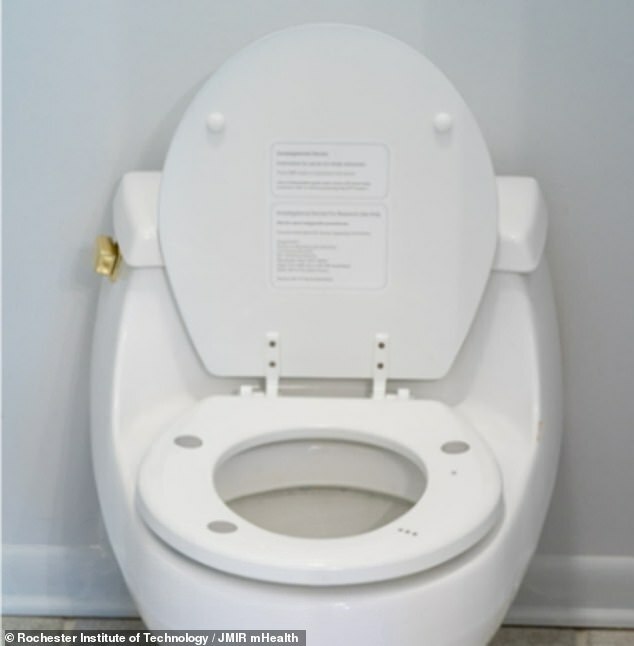 The toilet seat could look for signs of this, its inventors say, by noticing when the oxygen volume in blood is low, when blood pressure is high, and when smaller amounts of blood are being pumped with each action. Heart failure isn’t curable but it is treatable. If left untreated it can cause breathlessness, tiredness and dizziness. The condition increases the risk of kidney and liver damage or further damage to the heart. A trial of the toilet seats, made by the firm Heart Health Intelligence, will be conducted on 150 discharged heart patients in the US. They are battery-powered, waterproof, wireless and do not require any setting up or programming by the patient.